Kiku is part of the Kyoto Collection, a series of work is inspired by a visit to Japan in the Spring of 2015, with imagery taken from natural forms, temples and textile designs encountered in the city of Kyoto. 'Kiku' means Chrysanthemum in Japanese and the pattern engraved into the bowl echoes that used in traditional and contemporary Japanese textile patterns and crests. 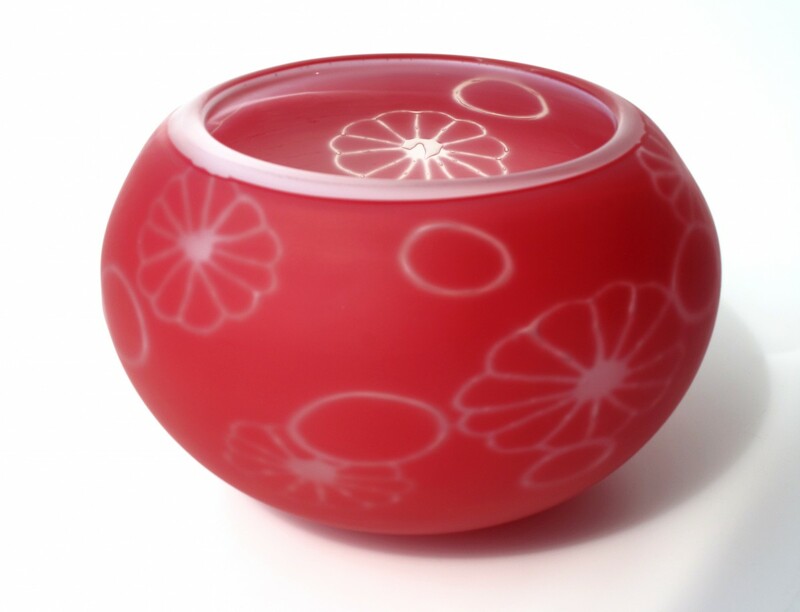 The glass is engraved on the interior of the outer layer of colour, allowing the inner colour to show through and light to enter the inside of the piece.